TIP 1: This is the oil you want if you struggle sleeping. When D. Gary Young was working with Vets who were suffering from PTSD, one of the most common complaints was not being able to sleep. This oil was a powerful oil in aiding these soldiers in sleeping again; solid, good night sleep. TIP 2: Because of the oils blended in RutaVaLa, it is designed to promote deep relaxation, relieving stress and nervous tension. 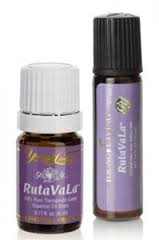 TIP 3: If you or a family member is anxious, RutaVaLa is helpful in bring calm and peace. TIP 4: Apply to the feet, shoulders and occiput to help deal with severe insomnia. TIP 5: People with restless leg syndrome have been able to sleep deeper and longer and testimonials have shown that some have even had their restless leg syndrome symptoms go away. All information for education use only. I cannot treat, diagnose or prescribe. All information is taken from the Essential Oil desk Reference.